Police are urgently tracing a dog walker who may have vital information following six robberies across West Yorkshire where high performance cars were stolen. The man was seen walking a small dog in Woodlands Crescent, Gomersal at about 6.45pm on Monday, January 4. A 26-year-old man from Bradford has been arrested on suspicion of robbery and remains in custody. The raids occurred at addresses in Bradford, Leeds and Kirklees on Monday and Tuesday this week and involved males with face coverings armed with weapons including knives, screwdrivers and pool cues. The first of these occurred at an address in Woodlands Crescent in Gomersal at about 6.40pm on Monday, January 4, where a silver VW Golf GTi was taken from a driveway after two men threatened a 42-year-old man with a knife. The men are believed to have been accompanied by two other men in dark clothing, who left the scene in another vehicle. About two hours later at an address in Tyersal Park, a blue Vauxhall Insignia was stolen after a man was threatened with a screwdriver and punched. This was followed by an incident in Bolton Drive, Bradford at about 10pm, where a silver Mercedes A200 was taken after threats were made to the occupants. At about 6pm on Tuesday, January 5, four men forced entry into a property in Lumb Bottom, Drighlington and made threats to the occupants before taking a black Audi A4 estate car. 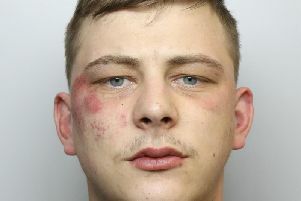 A similar incident occurred in Langley Lane, Shipley at about 7pm, when three men in balaclavas broke into a house and threatened the occupants before taking an Audi Q7. This was recovered by police in Laisterdyke a short time later. Then at 9pm, four men entered a house in Rooks Close, Wyke, where a woman was punched in the face before the keys were stolen to a silver Mercedes E250 car. Senior Investigating Officer, Detective Chief Inspector Gary Hooks, said: “There are a number of similarities involved in each of these incidents and a team of specialist detectives is investigating these under one large-scale inquiry. “Enquiries are at an early stage with regard to who the suspects might be and any vehicles which may have been used, but officers are already following up a number of leads. “Resources have been drawn from each of these districts to help with the investigation and public reassurance, and officers will be happy to speak to any residents about any concerns they may have.